Snow Blood Season 1 by Carol McKibben is the first in a series of short novels (240 pages) retelling the modern day adventures of the first vampire. Season 1 is the collection of all 6 episodes. When Brogio must turn Snow, a beautiful white husky, in order to save the dog, a series of events are unleashed that reveal a sinister plot against the father of all vampires. As life and true death experiences bond the master vampire and his newly transformed vampire canine together, they unravel a conspiracy that when resolved may return Selene, the love of Brogio’s life, back to him and set him free from the lonely existence that has plagued him for thousands of years! From the author of Luke’s Tale, follow Snow Blood, an epic story of the first vampire as told through the eyes of his kindred dog. Great combination of mythology and vampires in a modern day setting. 5-Stars! I love mythology and vampires so this book combined both in a new and unique way. I ordered the whole set in the series. I read the first one in two busy days and plan to finish all five in less than 10 days.Great start with Season One. "So what if you're a dog and you're turned into a vampire? This is that story. A wonderful loving dog has an accident and the first vampire in existence decides to save him by turning him into a vampire. This is such a cool story told in a dog's POV! It helped that this dog is identical to one of my own. "This first part is all about snow learning to be a vampire and learning to trust his master Brogio. He's also realizing he can't go home. He misses his home. The second part is learning a little more about Brogio and his becoming a vampire and his life which now includes Snow. The third through six parts introduce the gods and goddess and their part in the vampire start. And tricking Brugio to become a vampire. Then trying to get revenge again when their tricks backfire. It's cool to see it from a dog's eyes. And the plot added suspense when we learn that Brogio is being hunted. And to save himself, Snow, his long lost love, and his fledgling vampires, he's gunna need some help. Snow Blood was unlike any other book I have read. As far as I can recall there has never been a book solely about a vampire dog. The premise was unique and for that reason alone I wanted to give Snow Blood a shot and it was a pretty good read. Snow, a white husky, shares his story of how he was turned into a vampire by Brogio, the first original vampire. Unhappy with being turned at first, Snow eventually accepts his fates and grows to become very protective of Brogio and wants to see his new master happy and with his true love. However, in order for Brogio to be happy they will both have to fight the ones who created Brogio. But how do you fight and win against the gods? Definitely not an easy task. ​5-Stars - "This is wildly captivating from start to finish!" 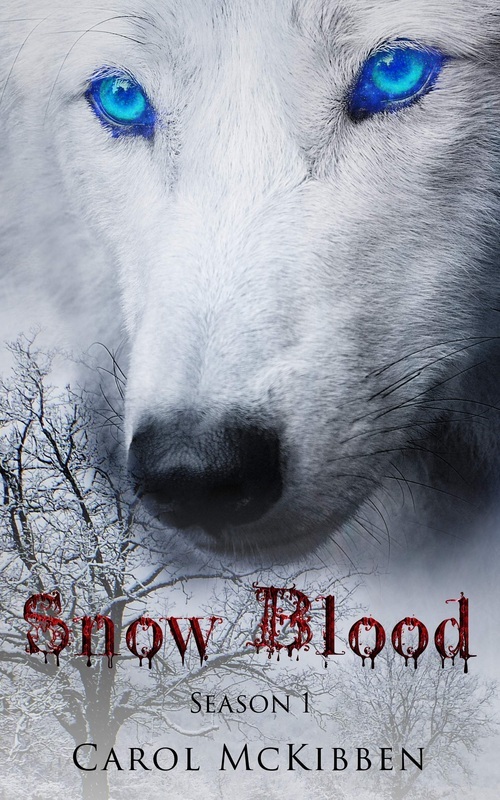 -Lexy W.
"A vampire story told through the perspective of a canine—that’s what makes Snow Blood: Season 1 stand out from all of the rest of the vampire novels that have sprung up following the Twilight saga. Carol McKibben presents a quest to kill the father of all vampires, a noble and complicated pursuit. Go to http://askdavid.com/preview/8306 for a preview of Snow Blood. And, here's more info on Snow Blood! Carol was a magazine publisher for 20+ years. She has published Luke’s Tale, Riding Through It, the Snow Blood Series, and Kane - The First Blood Son. Luke’s Tale and Snow Blood are targeted to a YA market. Luke’s Tale was included in the Summer Solstice Top 12 Book Pick List. Carol writes from the heart of a dog’s eyes. 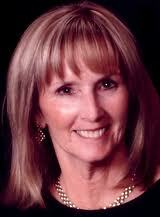 Her books help support her dog rescue efforts and focus on unconditional love. Carol and her Labrador Retriever Thor and Siberian Husky Ty are currently working on a new Series. Lonnie worked with me on Snow Blood as well. We did three rounds and then after the Beta Readers weighed in, I did one more edit. Hey from 6 on the first to 4 on the next two … I’m getting better! I have a business editing for other authors and ghost-writing and editing for corporate clients. I have a yellow lab named Thor and a Siberian Husky named Ty. I own and compete (with a black Friesian named Okido) in Classical Dressage. Yes, I dance with my horse!